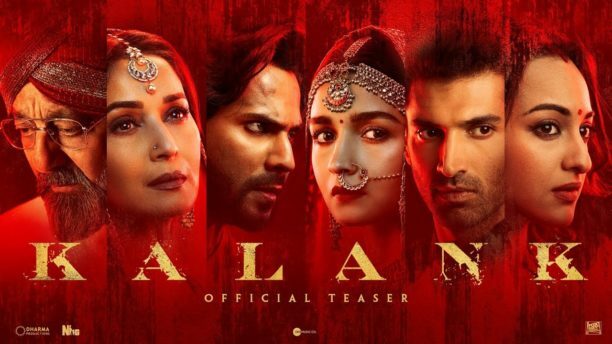 Since the first cast announcement that includes Alia Bhatt, Varun Dhawan, Sonakshi Sinha, Aditya Roy Kapur, Sanjay Dutt and Madhuri Dixit fans have been in a bollytizzy to see more about Kalank! The incredible trailer and first two brill songs dropped and fans absolutely cannot wait for the release and there is more to come. The epic and from we have seen so far resplendent film, directed by Abhishek Varman, is set in 1945, in Pre-Independence India. Kalank, a tale of eternal love, is set to hit theaters on April 17th. We have a very special behind the scenes video shot during the filming of Ghar More Pardesiya! Watch as Alia Bhatt, Varun Dhawan, and Madhuri Dixit give new interviews discussing the making of the beautiful song from KALANK. We also hear about the creation, see choreographer and director of the sequence Remo D’Souza on set as well as composer Pritam. Also check out the classic and we have to use the word again epic song which has hit over 28 million views!